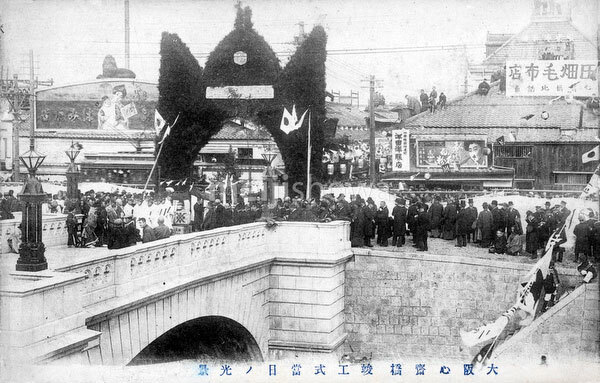 The opening ceremony for the stone Shinsaibashi Bridge in Shinsaibashi, Osaka, in October 1909 (Meiji 42). The bridge was Osaka’s first stone bridge. The photographer looked north. See our blog for the history of Shinsaibashi bridge.